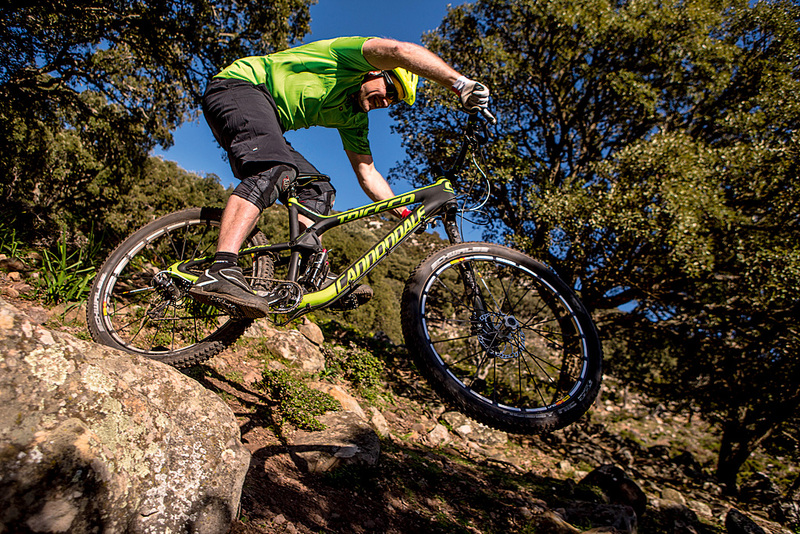 Cannondale likes to keep it in the family with a host of bespoke components designed to work in harmony. All that dosh buys you a super lightweight, beautifully finished package that rides rapidly in the short- travel mode. The Trigger feels edgy with lacklustre descending performance that doesn’t inspire confidence when riding hard. 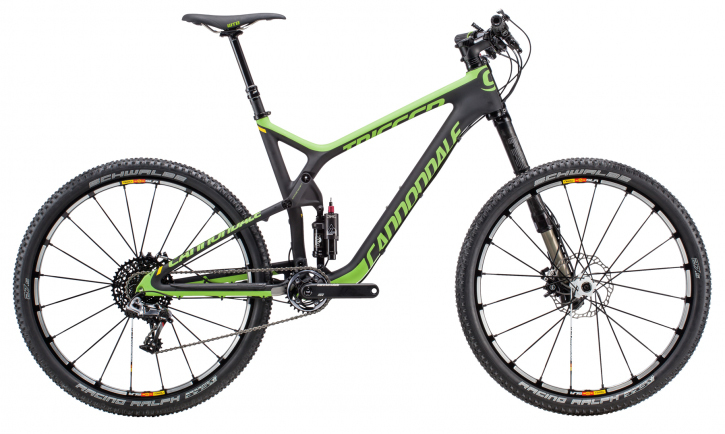 Cannondale’s ‘System Integration’ approach to bicycle design means the new 27.5in wheeled, do-it-all Trigger sports some unique features and components. The most obvious of which is the single-legged 140mm travel Lefty fork that’s housed in the oversized 1.5in head tube. The rear suspension is equally special, with its on-the-fly adjustable ‘two-in-one’ Fox DYAD shock providing 85mm of travel in Elevate mode or 140mm in Flow mode. Then you have the massive PressFit 30 BB that houses the supremely stiff Cannondale Hollowgram cranks. And as if that wasn’t enough bespoke technology for one bike, Cannondale has also engineered sufficient vertical flex into the carbon rear triangle to eliminate the need for the seatstay pivots found on the alloy version — claiming that the one-piece design saves weight and increases lateral stiffness. Riding the Carbon Team model set up by Cannondale mechanics at the launch in Spain, I faced a fairly hefty climb to reach a fun, technical descent. Unsurprisingly, at a sliver over 25lb and with super-lightweight wheels and tyres, it made light work of the climb with the suspension set to the tight, XC-race Elevate mode. Pointing the Trigger downhill on fast terrain though, it wasn’t long before the ‘Flow’ mode credentials were questioned. 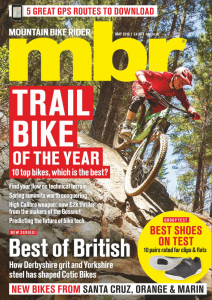 The Trigger 27.5 felt twangy, nervous and imprecise in the rough stuff, and several sessions of fiddling with shock pressures and settings didn’t yield the all-round performance you’d expect from a top-dollar 140mm trail bike. Stiffer wheels and better tyres would have made a massive difference to the handling of the bike, but initial impressions of the rear suspension on the Trigger left me feeling more than a little short-changed.